Marks & Spencer Foodhall is found in an ideal location in Cortonwood Retail Park on Cortonwood Drive, a 4.86 mile distance south-east from the centre of Barnsley, in Brampton Bierlow (not far from Hillies Golf Club and Brampton The Ellis Junior School). This store is a great addition to the local businesses of Wath upon Dearne, Swinton, West Melton, Wombwell, Mexborough, Elsecar, Hemingfield, Hoyland, Bolton upon Dearne and Jump. 8:00 am - 8:00 pm are its operating times today (Thursday). 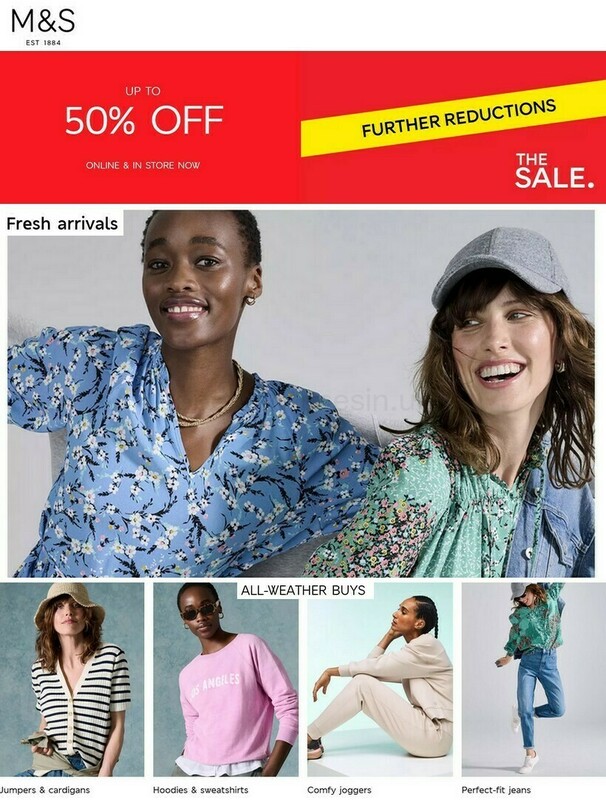 This page will provide you with all the information you need about Marks & Spencer Brampton, Cortonwood Retail Park, including the hours of opening, store location, product ranges and further details. Marks & Spencer Foodhall is set right near the Cortonwood Roundabout (Dearne Valley Parkway, Corton Wood), in Brampton Bierlow, Barnsley, at Cortonwood Retail Park. Just a 1 minute drive from Cortonwood Roundabout (Corton Wood, Dearne Valley Parkway); a 2 minute drive from Wath Road, Knollbeck Lane or Brampton Road; or a 4 minute drive from Station Road and Manvers Way. When using Satellite Navigation devices to get here, enter the postcode S73 0FA. Buses run directly to and from Brierlow Close and Dearne Valley Parkway. Services 67, 72, 200, 222, 226, 649, 22x, 67a and 72a stop nearby. The train will run regularly to and from Wombwell Station (1.44 mi) and Elsecar Station (1.83 mi away). Simply get on the Northern line. In the vicinity you may visit Wentworth Park, Brampton The Ellis Junior School, Gypsy Marsh, Century Business Centre, RSPB Old Moor, Park Hill, Broomhill Park, Wombwell Cemetery, Cortonwood Infant School and Waterfront Golf. Today, Marks & Spencer runs 2 stores in Barnsley, South Yorkshire. Access this page for the entire index of all Marks & Spencer branches near Barnsley. Please note: open hours for Marks & Spencer in Brampton, Cortonwood Retail Park may shift from daily times during the UK holiday season. For the whole of 2019 these exceptions cover Xmas Day, Boxing Day, Easter Sunday or August Bank Holiday. We recommend that you go to the official site or phone the customer service line at 0333 014 8555 to get more info about Marks & Spencer Brampton, Cortonwood Retail Park seasonal hours of business. Please peruse the other stores in Cortonwood Retail Park. Located in this place you can also find Argos, ASDA, Next, McDonald's, Matalan, H&M, Wilko, Poundland, Frankie & Benny's, Marks & Spencer, Smyths Toys, OUTFIT, Morrisons, Morrisons Garden Centre and a few others. It is our main objective to deliver you with the most accurate information as possible. Please don’t hesitate to utilize the report a problem form to report any mistakes with the street address or hours of operation for Marks & Spencer in Brampton, Cortonwood Retail Park. Your opinions are beneficial. Please use the box and star rating system provided below, to critique Marks & Spencer.